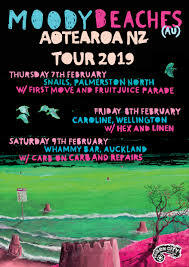 Melbourne post-punk grunge trio, Moody Beaches are for the first time bringing their brooding live show to Aotearoa’s North Island shores in February 2019. Raw, and at times - scathing, Moody Beaches channels the loud-quiet-loud dynamic of early Pixies and the harmony-driven vocal hooks of The Breeders. Moody Beaches debut LP, Weird Friends released on poison city records in 2018 - captures the loud and urgent delivery that the band is known for. Singles Guns (released as part of the Split Singles Club), Weird Friends and Modes have been widely embraced by Australian radio. 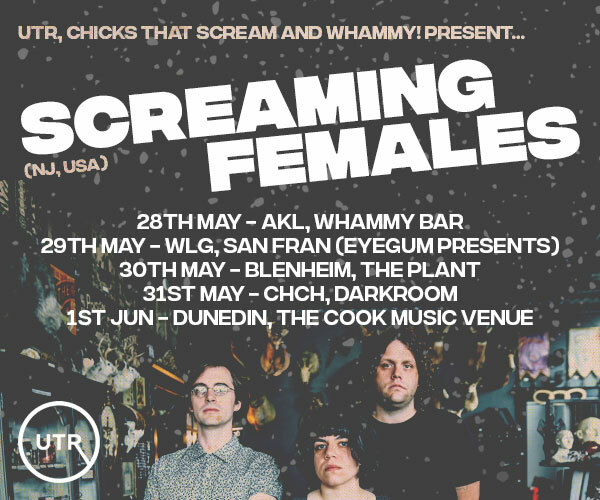 A recent headline national tour and support slots for bands such as Dead Kennedy’s and The Bennies continue to forge them a strong reputation as a vital addition to Australia’s DIY scene.